Founded amidst the bloodshed of the French and Indian War, Pittsburgh is haunted by the ghosts of its gritty and sometimes violent past. Many believe American industrialist Henry Clay Frick still inhabits Clayton, one of the last surviving homes on Millionaires' Row. The spirit of Kate Soffel lingers at the Allegheny County Jail, where she helped plot the escape of the Biddle brothers and fell in love in the process. The Duquesne Incline in 1877 employed teens disguised as ghosts to boost business. However, an authentic sinister entity is said to haunt the nearby Monongahela Incline without compensation. 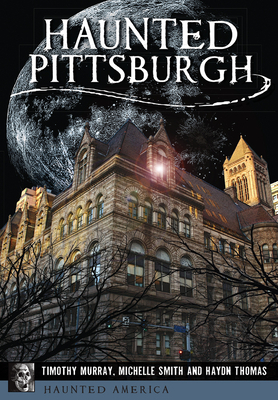 Join the Haunted Pittsburgh team as it explores ghostly encounters in the Steel City.